Riva Del Garda has a small art museum down by the lake front housed in La Rocca, a fortification built in the 12th century. It is quite small, but worth a look and won't take long. This painting is hanging in the small art museum in Bolzano, Italy; it is the one painting in the gallery I was particularly drawn to. 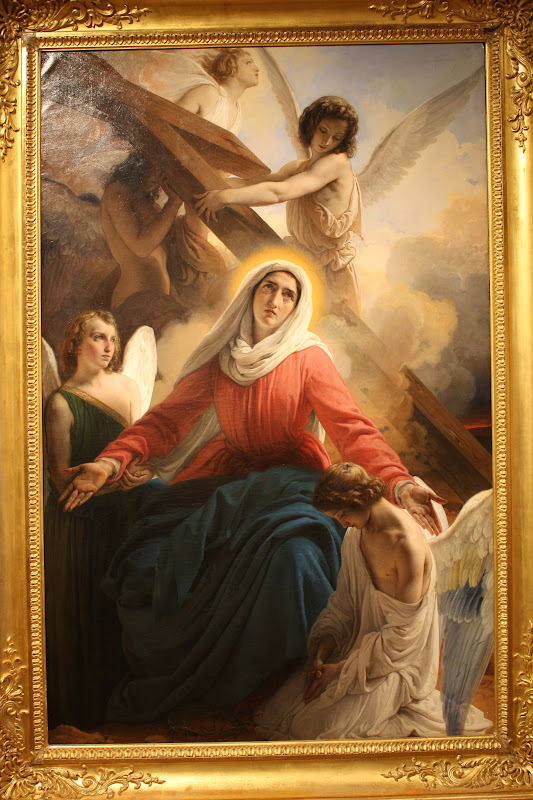 I am not usually into "Mary" art, but what drew me in were the angels. Aside from the beautiful coloring which is appropriately soothing, the emotion conveyed by the angels is heart felt and sincere. 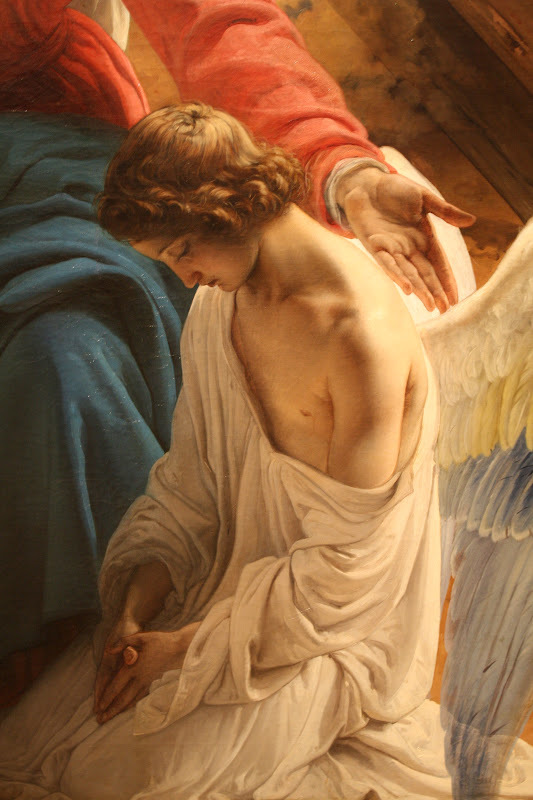 I don't believe that angels have wings, never the less, I love the idea of them flying to our aid, our rescue when we are in need of lifting up. That an unseen heavenly being will mourn with me or feel my pain brings me comfort. Look at how the angel in green is gazing at Mary who looks heavenward. He seems to be fully concentrated on her. I wonder, who are my angels? Who has gathered around me when I've been sad?